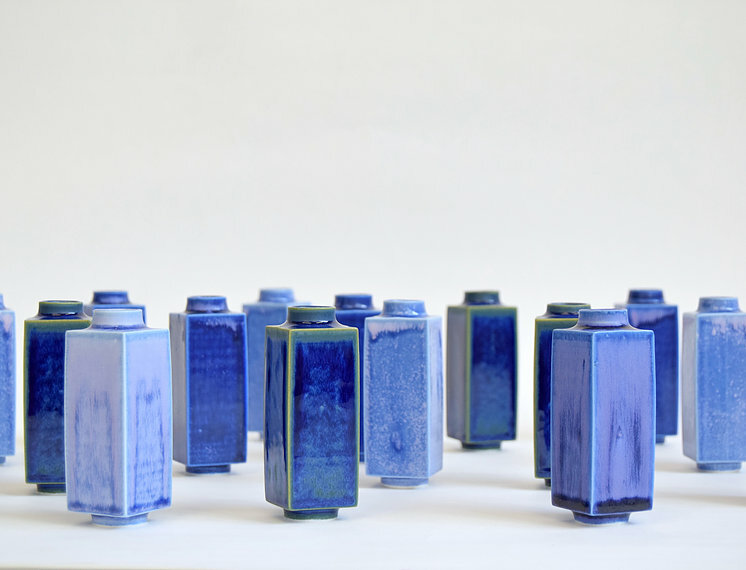 SGW Lab is a brainchild of Yuta Segawa, a London based ceramicist specializing in miniature pottery. He learned advanced ceramic skills in Japan and China and developed it into techniques of miniature pots in London, where he has been based since 2013. To further enhance his career, he launched the SGW Lab brand in 2017 as a platform to experiment with ceramics as well as a place to create dialogues with experts in other fields. As a first step towards building the brand, Yuta designed a couple of slip caste vases. The scale and the form of these pieces compliment those of his miniature pots.